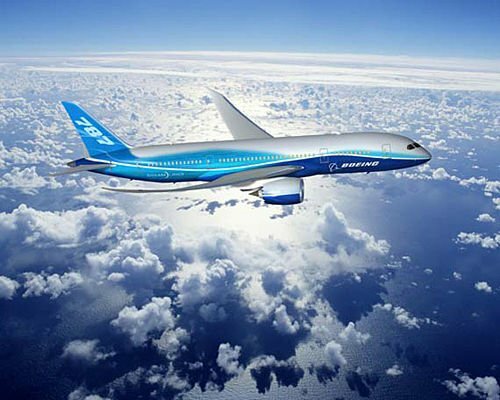 The Boeing 787 Dreamliner arrived Sunday at the Beijing Capital International Airport, making its debut in China, one of the world’s fastest-growing aviation and travel markets. It also marks the start of a six-month worldwide Dream Tour with the all-new jet. The airplane will be in China from Sunday till Dec 11, with stops in Beijing, Guangzhou and Haikou, where Chinese customers, partners, government officials and media will experience the revolutionary technology and passenger innovation first hand. "Chinese airlines, including Air China, China Southern, Hainan Airlines and Xiamen Airlines have been instrumental in bringing this game-changing airplane to the market,” said Ihssane Mounir, senior vice-president of Sales & Marketing for Greater China and South Korea, Boeing Commercial Airplanes. "We thank them for their initial commitment to the first new airplane of the 21st century," he said. The airplane, ZA003, was originally used for flight testing, but has been elegantly refurbished to showcase the standard capabilities and features of the 787. "I’m extremely impressed with what I saw, including the spacious cabin, largest-ever windows, larger overhead bins, and the dynamic LED lighting,” said Fan Cheng, senior vice-president of Air China. "I believe the Dreamliner will enable Air China to offer a superior passenger experience and I look forward to its important role in Air China’s plans for international expansion. "This great day demonstrates our partnership with China in pursuing aviation excellence,” said Marc Allen, Boeing China president. "Chengfei, Hafei and Shenfei — as exclusive and single-source Boeing suppliers — have made a great contribution to the success of the 787 program, producing the rudder, wing-to-body fairing, and vertical fin leading edge. We want to thank them for their role in making today possible," he added. As a result of innovative technologies, the airplane offers unparalleled operating economics, fuel efficiency and passenger comfort. More than 800 787s are on order by more than 50 airlines, a testament to the airplane’s unique capabilities.